Zoho CRM frees you to do what you do best: selling. Automate tasks, improve workflows and focus on creating and capturing opportunities. Turn looks into leads. Seamlessly populate visitor data from your website into your CRM system. Publish spam-free forms and create time and context-sensitive contact strategies. Write your own rules. Simplify and streamline your sales processes based on your unique business needs. Automatically assign leads and customers to the reps best qualified to handle them. Spending more time on navigating sales activities? There is a better way to follow up your routine sales tasks, appointments, and calls. With CRM View for activities, you can now pay attention to the prospects that are most important for you today, sell faster and grow your business. CRM View also helps you prioritize the work while interacting with customers from Social and Visitors tabs. What’s the latest with your prospects and customers? Let them tell you. Link their Facebook and Twitter profiles into your Zoho CRM system. Associate profiles to contacts or leads, send invitations to connect, view updates and share your comments. Be in the know when on a call. Use Zoho CRM’s Business Card View to instantly get a detailed look at all pertinent customer information. No scrolling, no searching. The Notes Section also displays the time and content of past conversations, so you can make each call more personal and productive. Sync contacts, email, tasks, and calendar between Zoho CRM and Microsoft Outlook. Instantly create bulk Mail Merge documents – in either customized or standard templates. Organize & share the latest marketing collateral with salespeople. Reduce email clutter and focus only on what matters; Keep customers emails inside CRM. Make phone calls within CRM and instantly track prospect details, call duration, etc. Chat with your website visitors proactively and convert them to potential customers. With the new feature “Conditional fields” you will be able to manage field dependancies even across multi page layouts. So lets say in dropdown field “Product interest” you have 2 values – A and B. If A is selected, then an entirely different set of fields will show up then if B is selected. This way you are able to manage multiple field layouts based on certain field values. The conditional field feature will enable you to be moire flexible within your data management. Workflow management helps you to automate your sales, marketing and support. You can automatically assign tasks to users, based on the criteria defined in the rules and update certain fields. Workflow Rules are effective only if associated with Workflow Alerts, Workflow Tasks and Workflow Field Updates. When a rule is triggered, the alerts, tasks and field updates associated to the rule will also be triggered. For example, to send email notifications to the recipients, you must always associate an alert to the rule. You can also associate workflow tasks to a rule to assign work to the users. Improves efficiency by eliminating the manual work of assigning tasks. Improves business processes through standardized working methods. A lead is opening an Email or even clicks on a link – you want to honor this with some points? No problem. With the new lead scoring within CRM you are now able to add and even subtract points to / from your actual leads. This way you can prioritize your leads according their reaction to your marketing / sales activities. 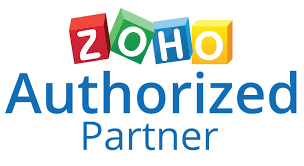 Assignment rules help you automatically assign the records to users in Zoho CRM. The assignment rule is applicable only for the leads, contacts, cases and records in custom modules that are imported or the ones that are captured through web forms. Based on the organization-wide record distribution process or round-robin process, you can automatically assign owner to the records. How does your sales team keep up with all the leads, prospects, and customers? How do they know what to do at each stage in the pipeline? That’s why we’ve created Blueprint, a technology inside Zoho CRM that gently guides users through what actions should be taken at what time, – and prompts them for the right information in the right sequence. Make your process repeatable for new hires, as well as longtime salespeople. Sell smarter, better, faster. Click the icon to message us now.